GenCon 2018 is now in the record books. For those who have not heard of this event, GenCon is the largest and most expansive gaming convention in North America, with over 60,000 attendees per year. GenCon hosts all types of gaming, with an emphasis on tabletop, LARP, RPG and CCG games, as well as related activities. If you game, then GenCon has something for you! In 2017, GenCon had its 50 year anniversary. 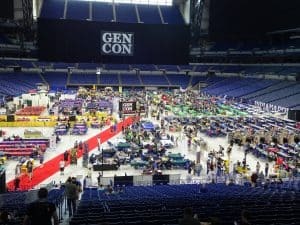 GenCon 50 was full of firsts, including the first-ever ticket sellout and the first year of taking over the entire field at the neighboring Lucas Oil Stadium. 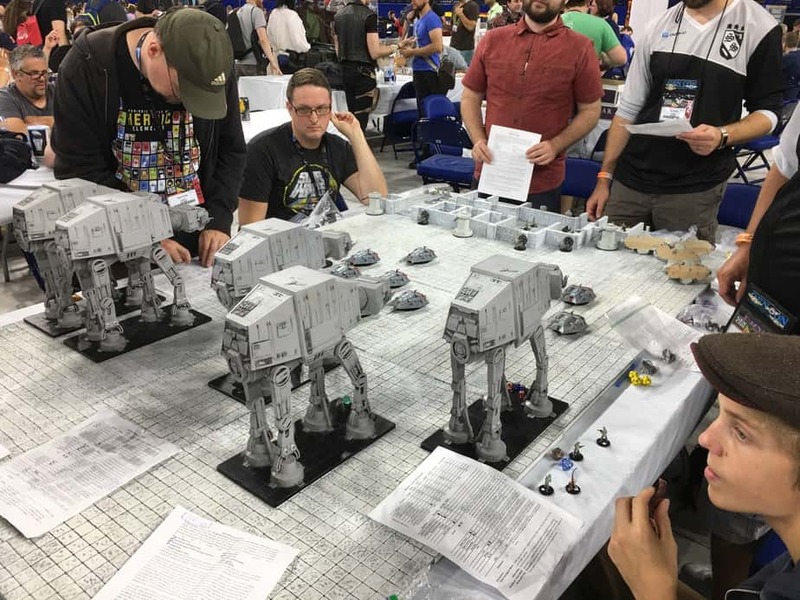 As such, many attendees expected that in comparison, GenCon 51 (held August 2-5, 2018, with Trade Day on August 1) would be a tamer, more laid-back affair. In some ways this was true; the invited guests were less ‘impressive’ and there were no special anniversary events such as tours or replica museums like there were in 2017. 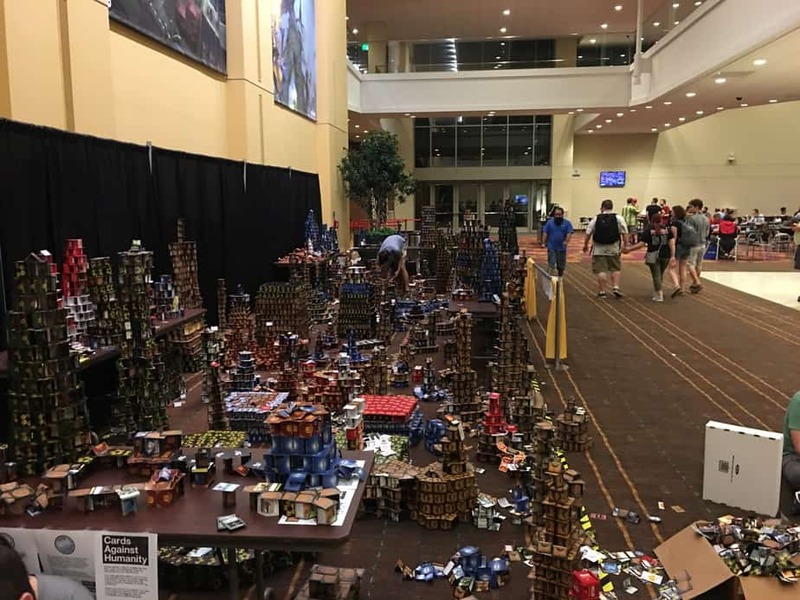 Yet GenCon 51 held its own and carved its own way forward, refusing to be shadowed by the bigger milestone event from the previous year. The previous year’s ticket sellout happened because of the anniversary year, but also partly because of the way the tickets were allocated. In 2018, GenCon reduced the number of single-day badges, while increasing the number of 4-day badges, which meant that there was a record number of 4-day attendees. Additionally, the total number of tickets available was increased as GenCon expanded its activities even further into Lucas Oil Stadium, which con organizers see as a permanent addition to the GenCon experience. Another big first this year was the launch of convention-long live-streaming on Twitch. As an online gaming network, Twitch was the perfect partner for GenCon, allowing those who were unable to attend the con to experience many of the panels and events that took place. During the con, GenCon Twitch programming had more than 300,000 unique views and over 3 million minutes of watched footage. Attendees and fans can expect to see Twitch programming and live-streaming continued in future years. Yet the biggest change to GenCon was small… for now. 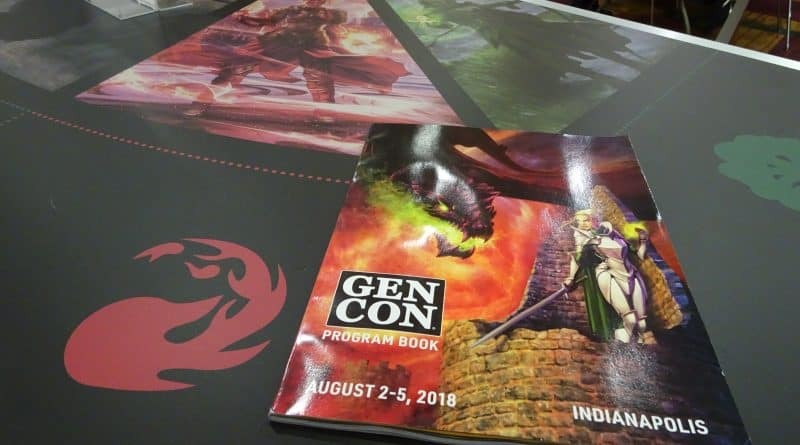 For decades, GenCon has issued paper event tickets, which attendees redeemed throughout the con as they attended their games, seminars, panels and shows. This year, GenCon introduced electronic ticketing, primarily for Trade Day and True Dungeon events (over 10,000 event transactions). Tickets were attached to an attendee’s GenCon account, and scanned through the unique barcode on each attendee’s badge. 2018 was considered to be the test run for electronic ticketing, with an eye to completely removing paper tickets in the future. 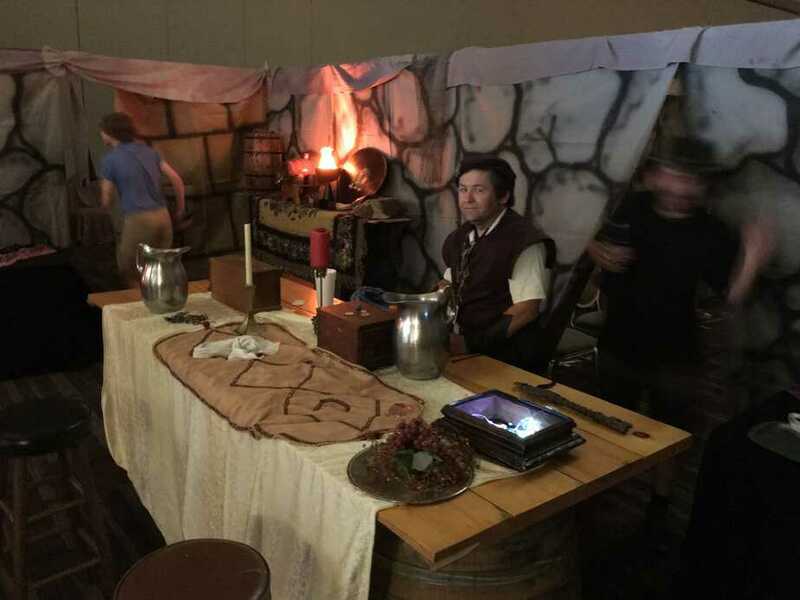 While there were some issues, the electronically-ticketed events were seen to be a success, and as such, GenCon plans to expand the technology further next year. 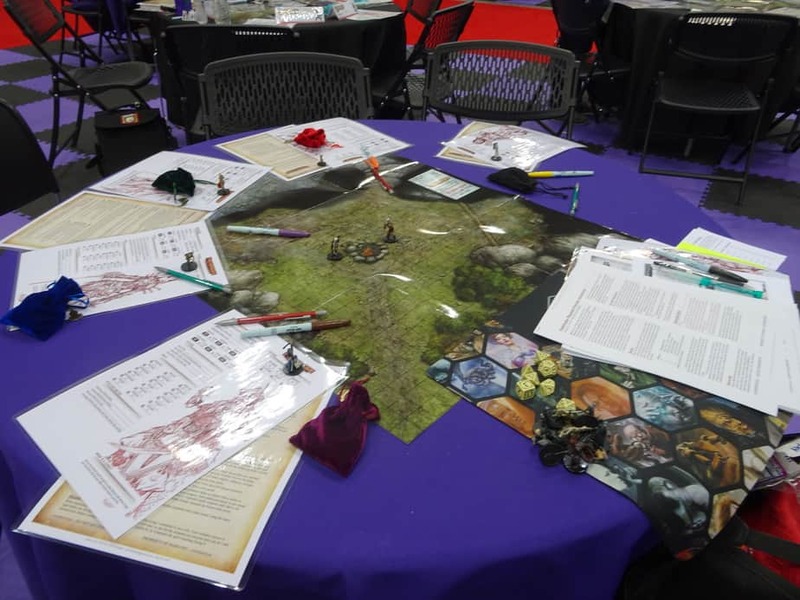 In terms of gaming news, the two biggest events at GenCon in 2018 were the first major playtests of Paizo’s new Pathfinder 2 roleplaying system, as well as the 25th anniversary of Magic: The Gathering. Of course, other large gaming companies such as AEG, Blizzard, Final Fantasy and Upper Deck all made their presence known with events, merchandise, playtests and large booths on the Exhibit Floor. 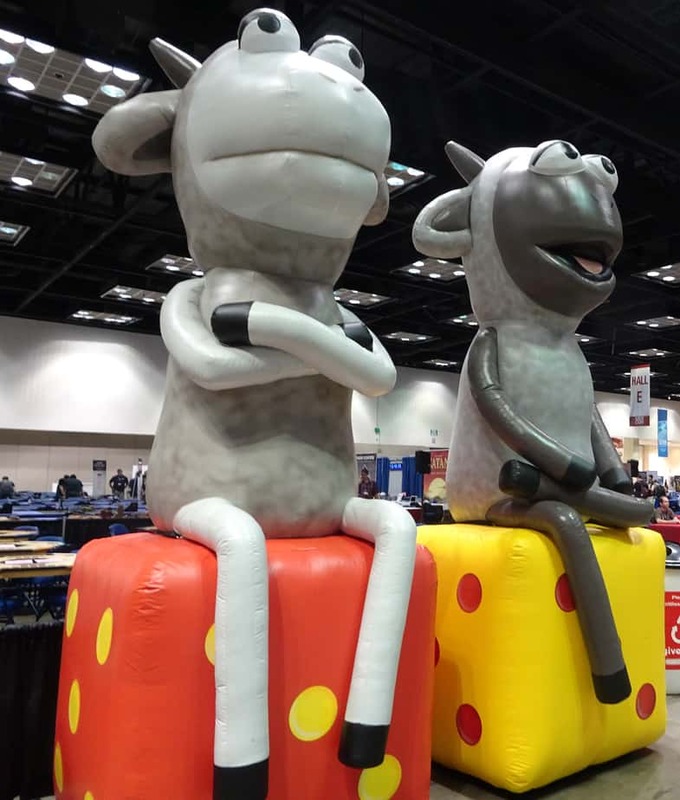 Overall, while not a milestone year, GenCon 51 was certainly a con to remember, and the changes this year point out the direction of the con to come over the next decades. Did you attend GenCon 51? Join the conversation on the FoCC forums!